From the pen of To Kill a Mockingbird author Harper Lee comes a downbeat letter written in September of 2008, at a time when a flurry of worrying developments in the world of traditional book publishing had seemingly brought about - in Lee's words - "the last of the wine". 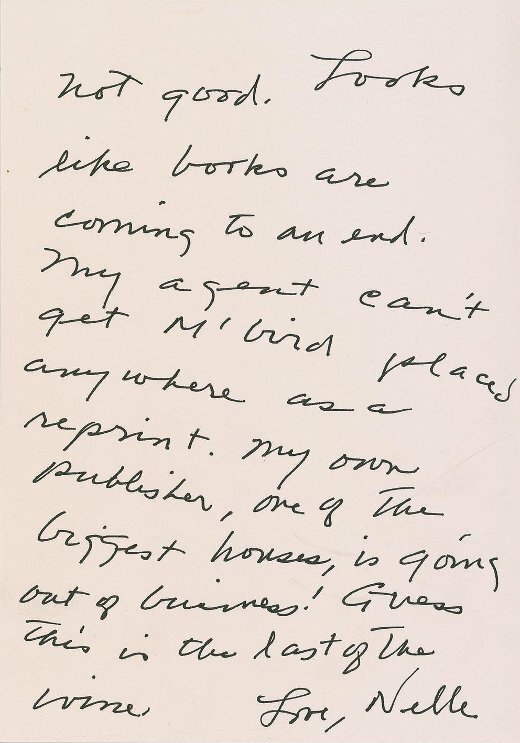 Just months earlier the CEO of HarperCollins, Jane Friedman, had simultaneously surprised and worried many in the industry by leaving her post; at the same time Harper Lee's agent was finding it impossible to secure a reprint of Mockingbird, one of the world's most celebrated novels and Lee's only published book. Then, on September 22nd, New York Magazine sounded the death knell by way of this widely read article, entitled 'The End'. Clearly that was enough for Harper Lee. Recommended reading: To Kill a Mockingbird: 50th Anniversary Edition. 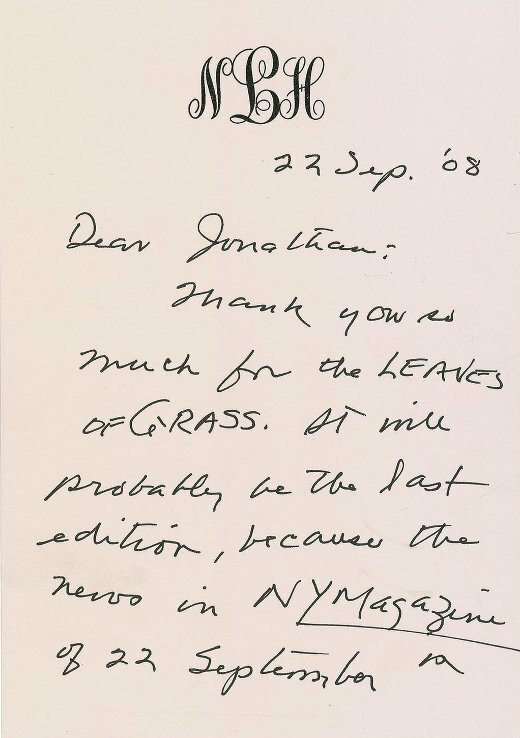 Thank you so much for the LEAVES OF GRASS. It will probably be the last edition, because the news in NY Magazine of 22 September is not good. Looks like books are coming to an end. My agent can’t get M’bird placed anywhere as a reprint. My own publisher, one of the biggest houses, is going out of business! Guess this is the last of the wine.